There was some sort of dust-up between Marcus Stroman and the Blue Jays and the Yankees this week. I didn't really pay attention. I try not to watch any games involving the Yankees if I can help it. And, I am so over the "did you hear what he/she just said" storylines that plague our society these days. From the sports world to the celebrity world to the political world, I no longer care what someone said or who was offended. Show me what people are doing (hopefully something positive), and then it is a newsworthy story to me. Other than that, it's just babble. (Except if a pitcher screams "don't look at me" for no reason. That's just funny). "Doing everything they said I couldn't." Yeah, it's there all right. He's met with a ton of resistance on his way up. Because he's 5-8 and a pitcher. 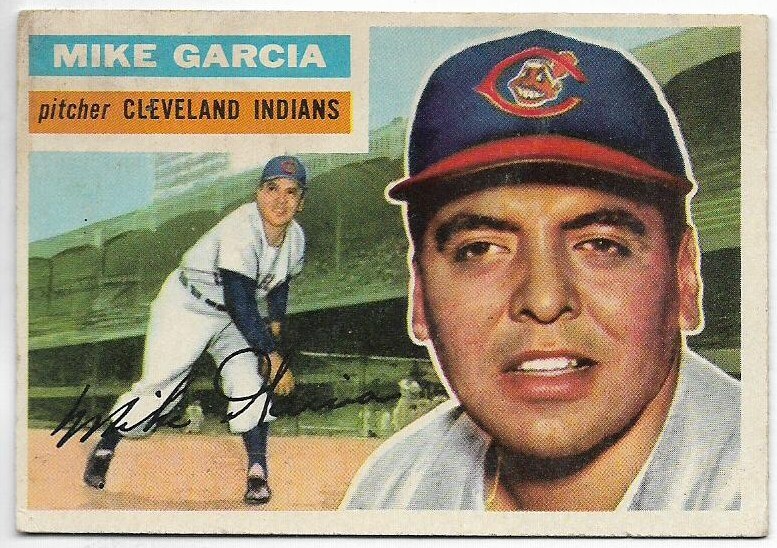 The prejudice against short pitchers goes back decades. 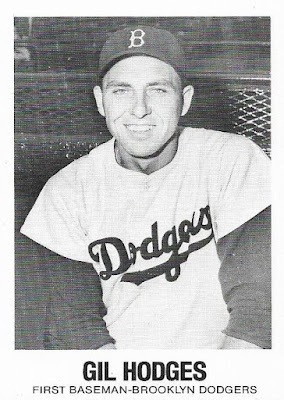 The Dodgers rejected Whitey Ford because he was 5-10. 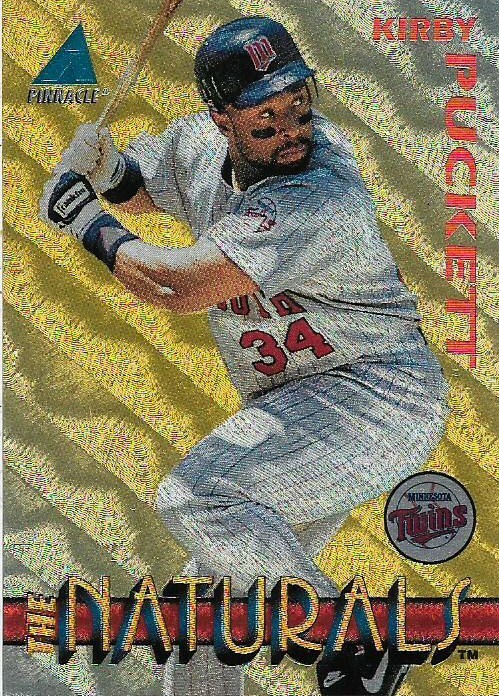 Pedro Martinez and Tim Lincecum were treated as freaks of nature because they were 5-11. 5-11! The average white male is 5-10! There have been several recent studies refuting the belief that shorter pitchers are less capable or more fragile. 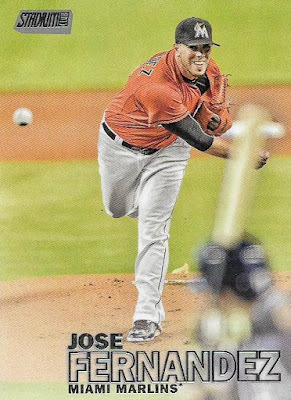 But still the perception remains that if you're under 6-feet (particularly if you're not left-handed) then you can't pitch in the majors. I've been under 6-feet all my life. 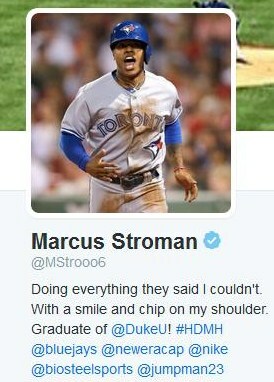 In fact, I'm even shorter than Marcus Stroman. 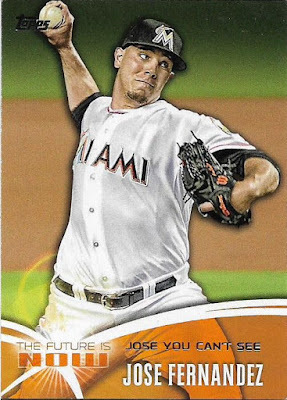 And although I never had any significant athletic talent, I've dealt with some of the stuff Stroman no doubt went through. Imagine being 12 years old when Randy Newman's "Short People" hit the charts. It's hard to find the satire in that song when you're entering junior high. I've heard it all. 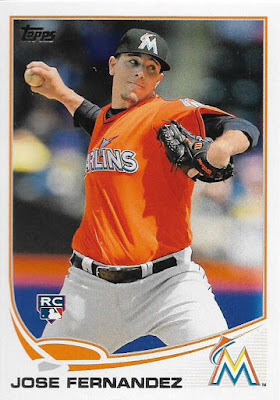 It gets easier as you get older and now I hardly think about it, except when someone is pointing out how short some major leaguer is (kind of like I'm doing now). I decided to pay tribute to some of the more notable short major leaguers with an All-Short Star team. All of these guys are 5-9 or shorter and you've heard of all of them. 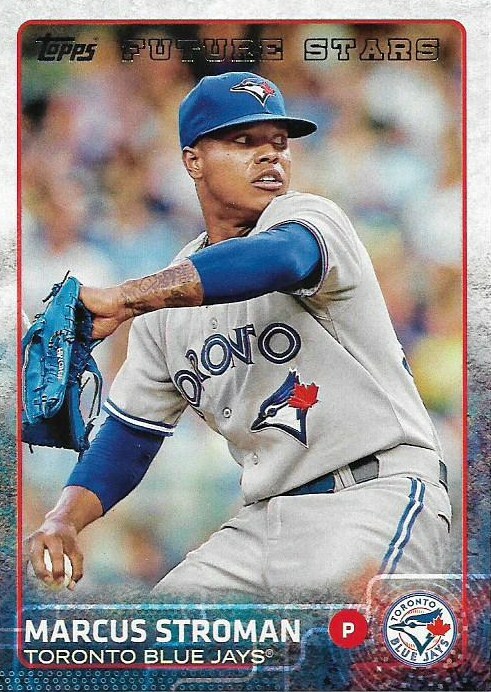 By the way, I'm already making Stroman my pitcher on this team even though he isn't quite an All-Star. He's been through enough. Only made the Hall of Fame and launched a thousand quotations. Other notable: Ivan Rodriguez (5-9). I am delighted to have this card. 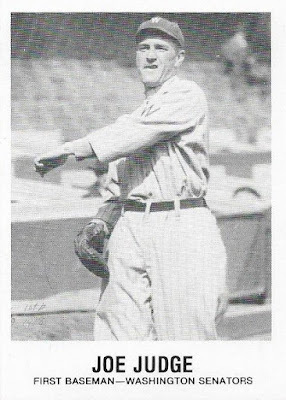 Judge was the star first baseman for the champion Washington Senators teams of the 1920s. Out of all the positions in baseball, first base is the spot where I could see tall players would hold a significant advantage. Kudos to the Senators, although I realize it was a different time. Other notable: George Burns (5-7). 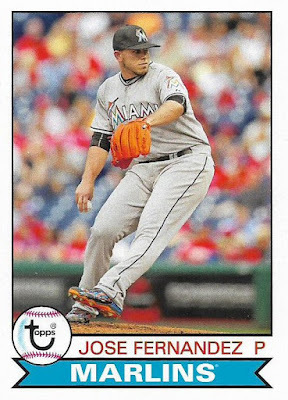 I know some of you newbies expected a card of Jose Altuve. But Morgan is from my era. So I split the difference and got Morgan in an Astros uniform. Normally when I do these all-star teams, second base is the toughest position to fill. Not with this team. It is overflowing with little guys. Other notables: Altuve (5-6), Eddie Collins (5-9), Dustin Pedroia (5-9). When I was a kid, "the short guy in baseball," which I believe is Altuve now, was Freddie Patek. As mini adults, we couldn't get enough of Patek. He was practically one of us! 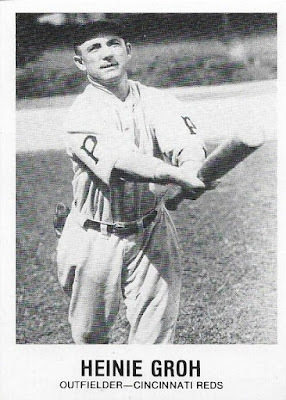 There are more-famous short guys who played shortstop, but Patek is the first player I think of when short players are mentioned. 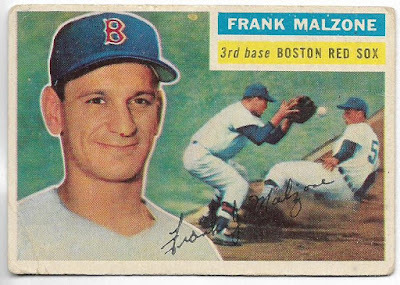 Other notables: Jimmy Rollins (5-7), Luis Aparicio (5-9), Joe Tinker (5-9), Omar Vizquel (5-9), Phil Rizzuto (5-6), Dave Bancroft (5-9), Bobby Wallace (5-8). 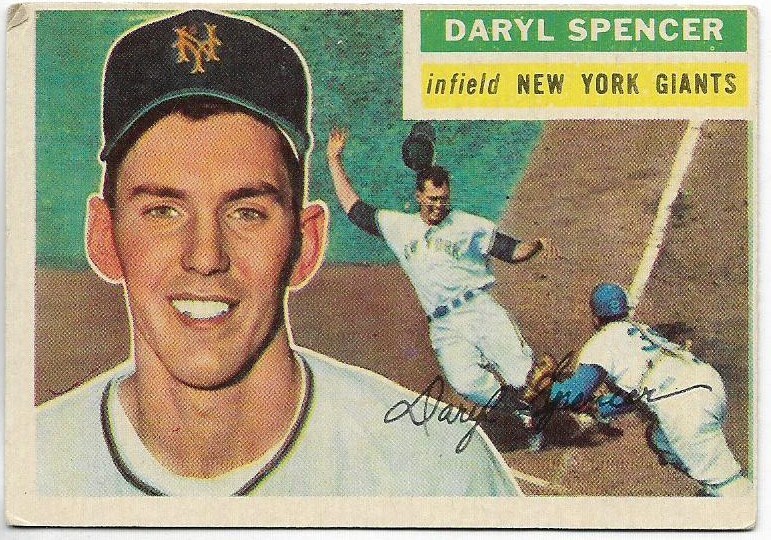 The card says "outfielder," but that's an error. 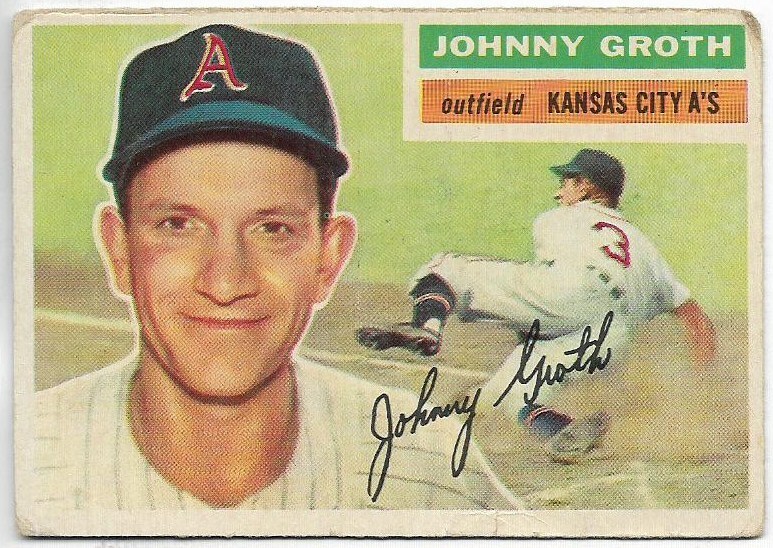 Groh was strictly an infielder, mainly at third base and second. Another Hall of Famer, I am fascinated by his famed "bottle bat" and what would happen if a player today came to the plate with a bottle bat. Other notables: Joe Sewell (5-6), Larry Gardner (5-6), Tommy Leach (5-6). 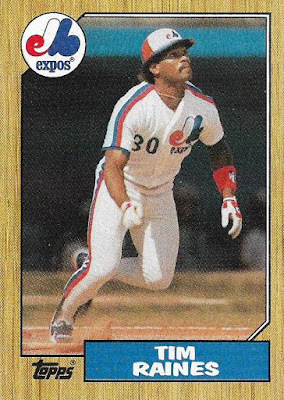 Left field: Tim Raines, 5-8. 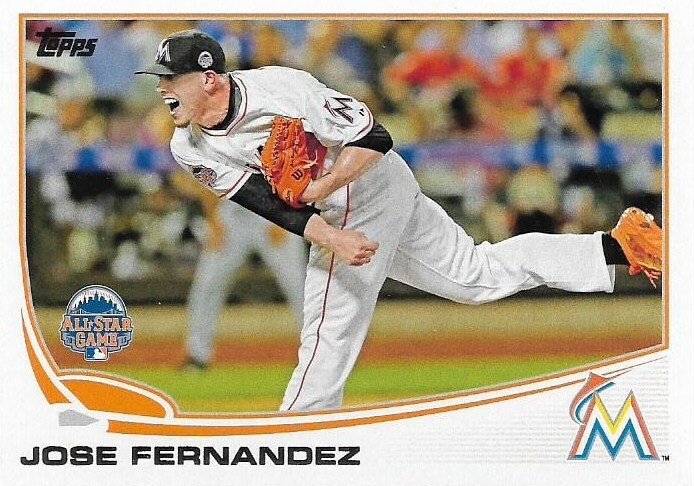 He will be in the Hall of Fame someday. Nobody cares about height when you've had that kind of career. Center field: Kirby Puckett, 5-8. For a 5-8 guy, he could get up there. 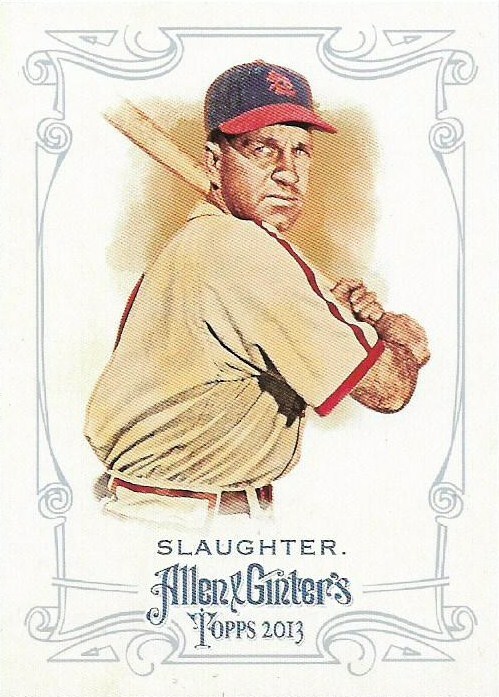 Right field: Enos Slaughter, 5-9. 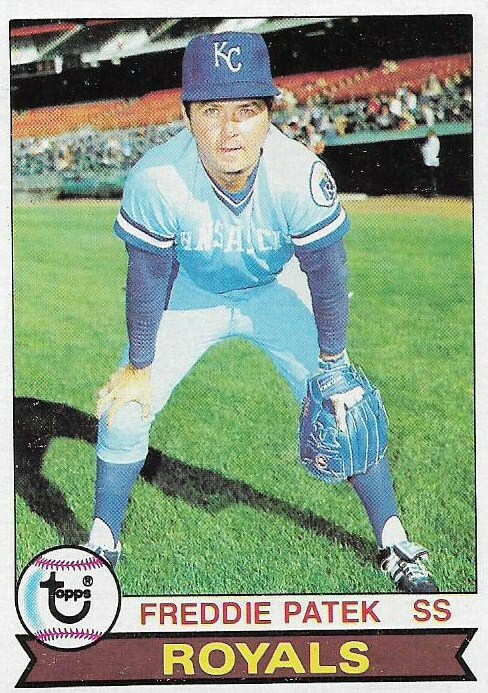 Every photo of Slaughter I've seen, he looks like he wrestled alligators and hauled railroad ties in the offseason. I was surprised to learn he was 5-9. Other outfield notables: Mel Ott (5-9), Paul Waner (5-8), Sam Rice (5-9), Tony Phillips (5-9), Earl Averill (5-9), Albie Pearson (5-5), Jimmy Sheckard (5-9). There are plenty of other short stories in baseball. 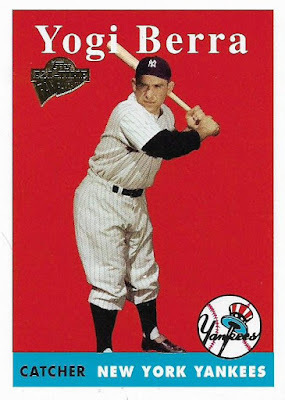 Eddie Gaedel, of course. Harry Chappas. 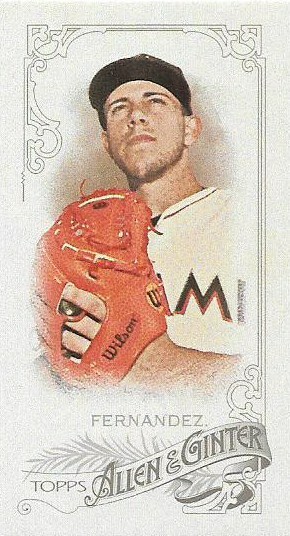 Tim Collins. Other short pitchers include Fred Norman (5-7) and Candy Cummings (5-9), credited for inventing the curveball. I tried to keep the team to all-stars, but I'm sure I missed some. The fact is -- speaking of "short" -- I am short on time today. So I overcompensated with a long post. That's what us short guys do. Or we yell stuff on the mound to annoy you. If you've collected for long enough then you've probably done that goofy thing where you give the cards you purchase powers of knowing. They're inanimate objects, yet sometimes, I could swear they know what I need. Or at the very least, they are trying to tell me something. It's the only way I can explain my recent experiences with Allen & Ginter. 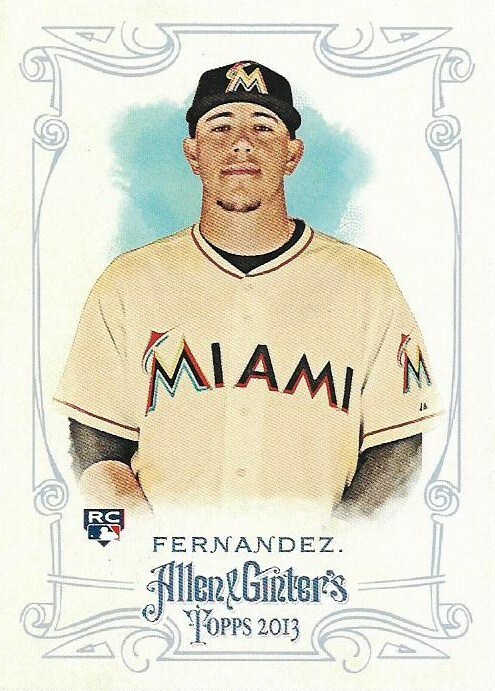 I haven't bought a lot of 2016 A&G because I'm not trying to complete the set. But A&G is one of my first choices during impulse buys because I still like the set and, oh yes, minis. 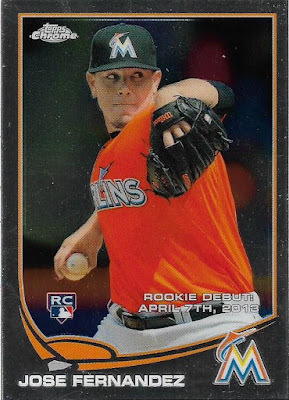 So, speaking of minis, I pulled this one. 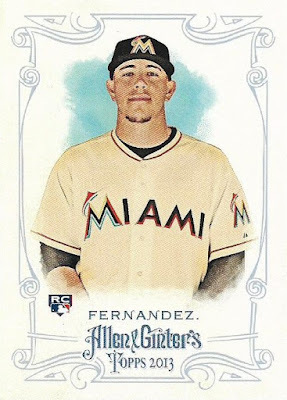 Now, I had pulled the same mini when I bought my first blaster of A&G and posted its contents. And I had just sent that mini to a fellow collector. So what are the odds of getting that mini again? Yeah, I know some math guy is going to tell me and say that the probability is actually not all that unusual. Don't spoil my post. The A&G cards are trying to tell me something, man! 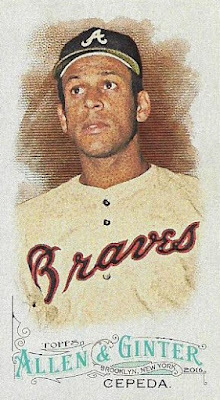 They want me to have this Orlando Cepeda mini! Heavens to Murgatroyd, this is the second time I've pulled this mini. What are the odds of pulling two of the same mini twice, math guy? I know that A&G wants me to have this mini, but I sent it to a fellow collector, and then I sent the second one I pulled to another fellow collector! 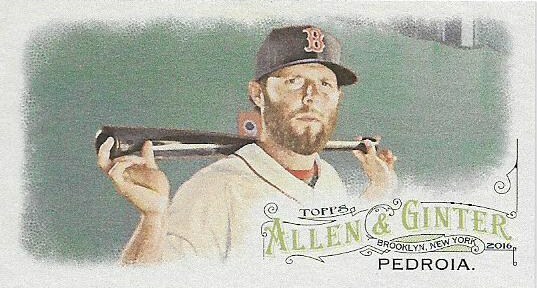 I fully expect to pull a third Pedroia mini within the next month. 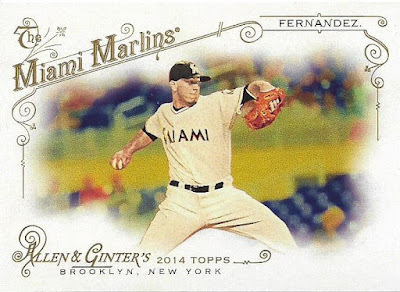 Ginter's gentle hinting isn't confined to minis either. The Tom Murphy card at the top of the post is one of the short-prints. It's card No. 336. I had no idea who Tom Murphy was the first time or two I pulled his card. But then something happened that sent a chill up my spine. One of our sportswriters did a story on Murphy. It turns out he grew up an hour from me. 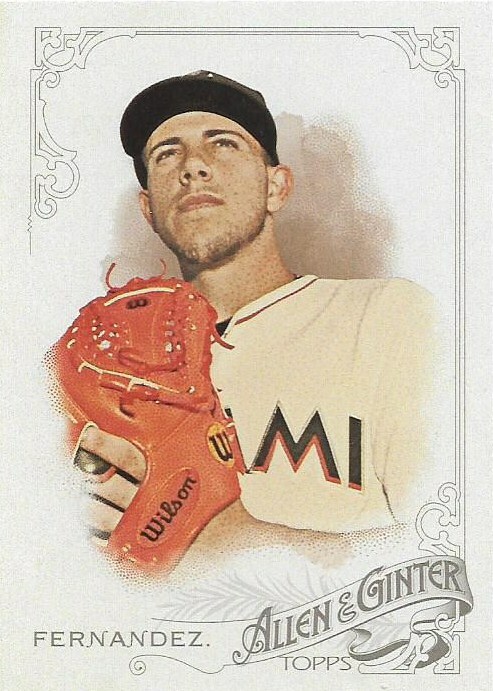 I don't necessarily collect players who came from the same area that I did or lived near where I live, but I know a lot of collectors who do and apparently Ginter thinks I should! 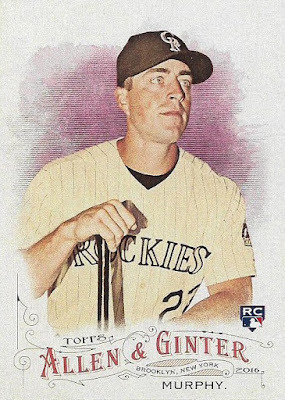 Unfortunately, Ginter, I have no intention of collecting a Colorado Rockie, no matter how many Tom Murphy cards you throw at me. I'm expanding on my most recent post from the 1985 Topps blog. That's the advantage of having more than one blog -- the other blogs sometimes give you ideas for the main blog, and that is very key. 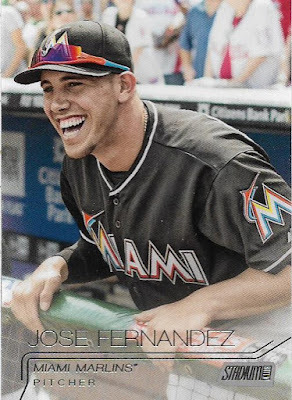 Until Topps issues a product every day (don't say "ToppsNow," wise guy) or there's a card show every day, it will always be a challenge to come up with material on a daily blog. So, this post is about the power of the mustache, specifically referring to one player. 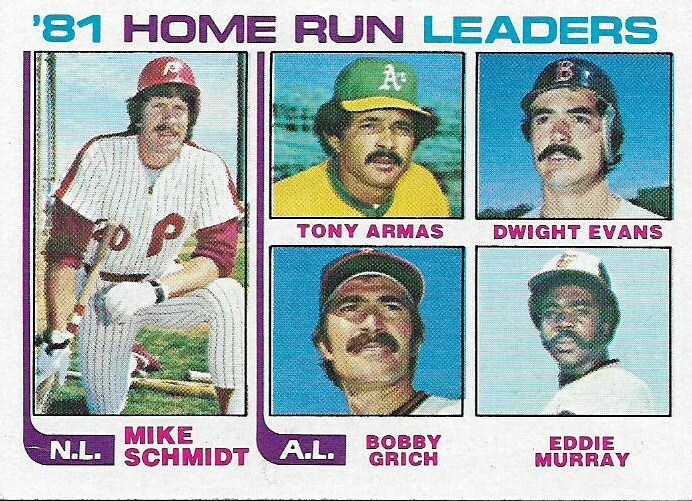 I would hope that everyone familiar with 1970s/80s baseball players knows about the power of the mustache. The sudden surge in ability for players like Ron Cey, Mike Schmidt, Davey Lopes, Steve Rogers, etc., once they grew some lip hair is right there in the statistics. But for me there is one player who documents this phenomenon better than any player. 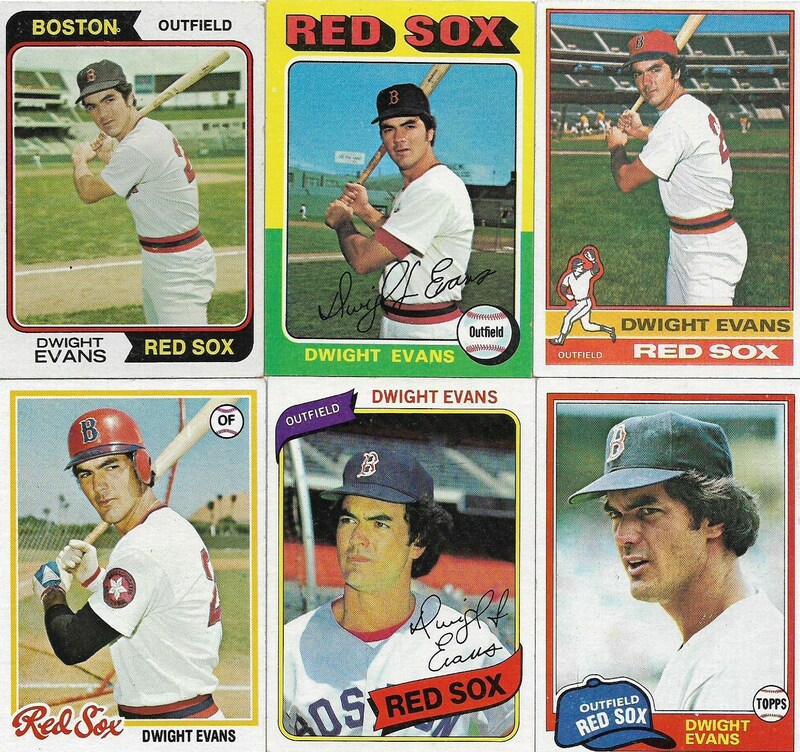 Dwight Evans enjoyed a long and prosperous career, mostly with the Red Sox, from 1972-91. 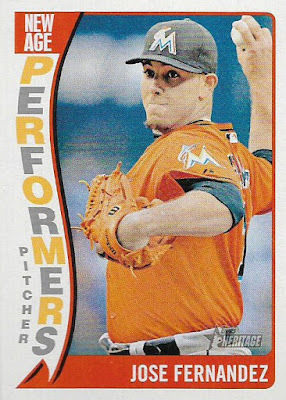 But the tone of his career shifted about midway through. 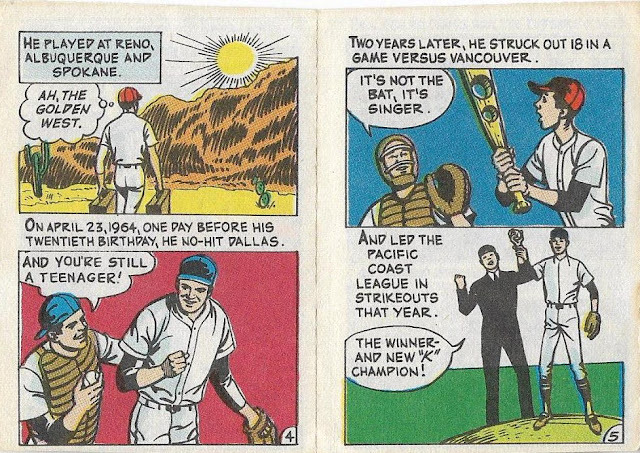 Prior to 1981, Evans was known as a gifted fielder with a terrific arm and a wonderful sense of anticipation. His fielding ability was so good that it won praise on the biggest stage in baseball, the World Series. But Evans' offensive ability was only slightly above average. 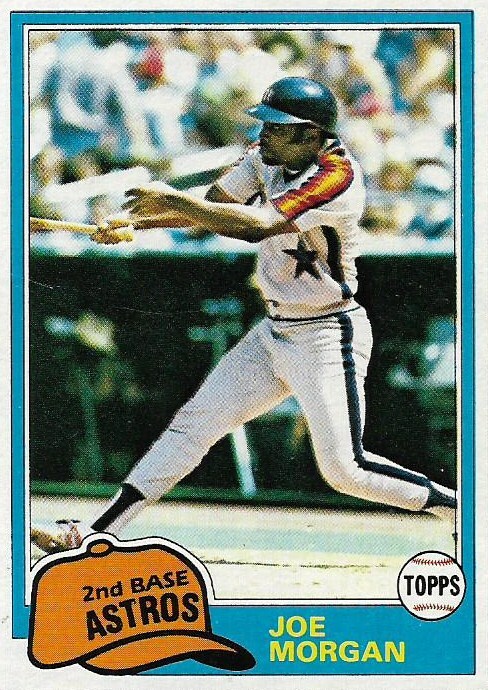 He could hit 20-plus home runs periodically, but he was prone to season slumps, struggling particularly between 1976-78. 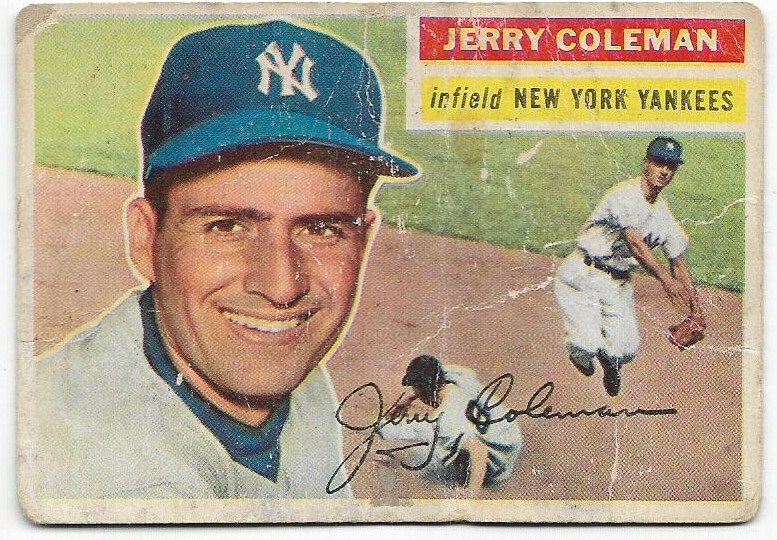 AB: 3,394; Hits: 888; Avg: .262; Home Runs: 128; Total Bases: 1,521; Slugging Pct. : .448; Walks: 415, HBP: 21; Sacrifice Flies: 21; On-Base Pct: .344; OPS: .832. Pretty good, but in a lineup that included Carl Yastrzemski, Jim Rice, Carlton Fisk, Fred Lynn, George Scott, etc., it's a good thing he had that glove. He was overshadowed. AB: 5,602; Hits: 1,558; Avg. 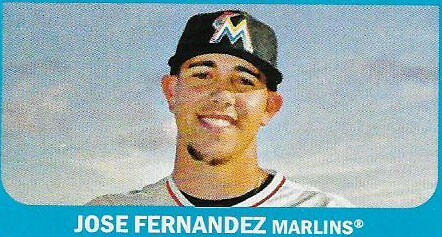 : 278, Home Runs: 257; Total Bases: 2,709; Slugging Pct: .483; Walks: 976, HBP: 32; Sacrifice Flies: 56; On-Base Pct: .385; OPS: .868. Evans was a far better hitter the second half of his career than the first. Now you can argue that Evans received greater opportunity in the 1980s then the 1970s. With players like Yaz, Fisk and Lynn gone, the Red Sox relied on Evans' offense even more, particularly his power. 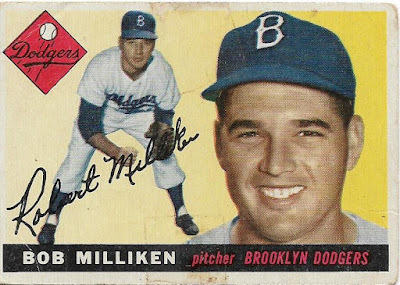 Players like Boggs, Buckner, Stapleton and Barrett were not power guys. 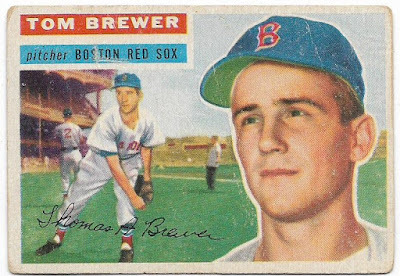 The Red Sox had Rice, Tony Armas and Evans and that was about it. But I prefer to focus on the power of the mustache. The mystique of the mustache. The difference between Evans from 1972-80 and 1981-1991 is not only in the stats, but in his facial appearance. 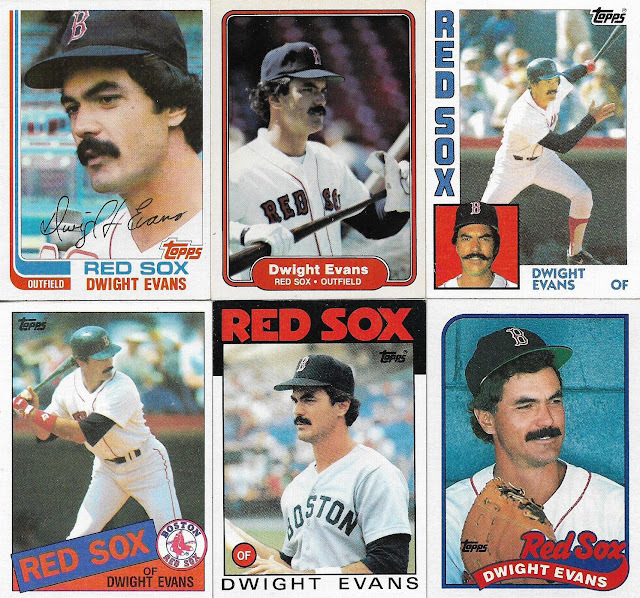 Evans grew a mustache in 1981 (or perhaps during the 1980 offseason). 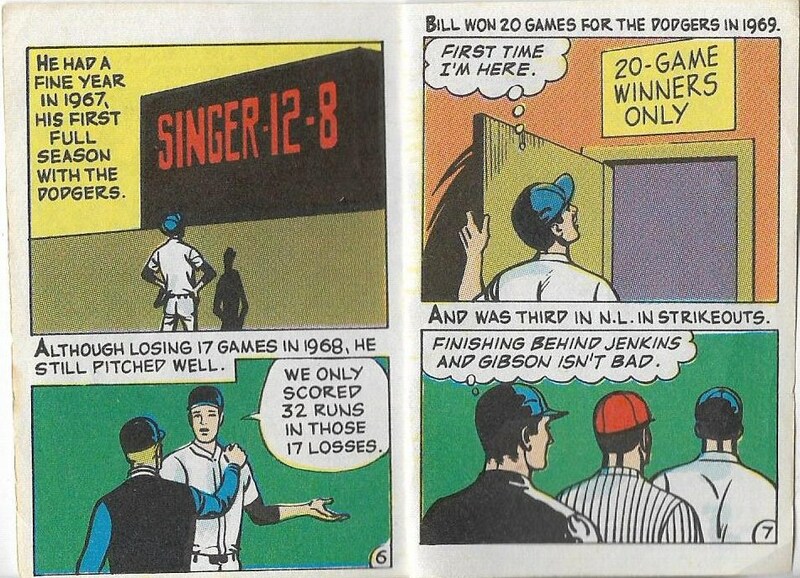 And that 1981 season was unlike any other he had ever experienced. Even though the strike wiped out a third of the season, Evans' numbers that year were better than some of his previous full-season numbers. He led the league in five categories. 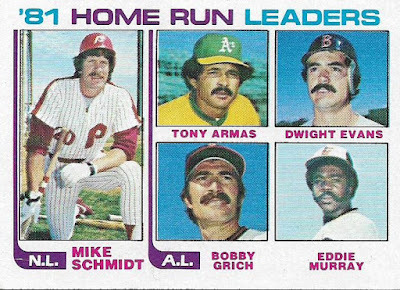 He had never led the league in any offensive category prior to the mustache year of 1981. 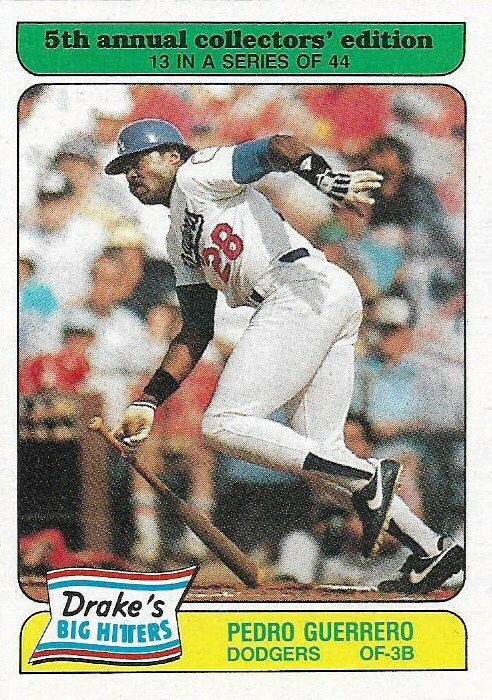 From 1981 on, Evans posted league-leading totals 13 times. 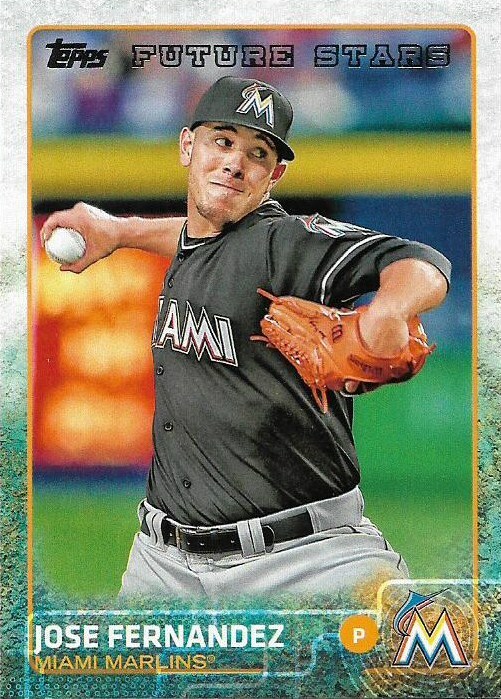 He finished in the top five of MVP voting twice. I am almost certain that if Evans ever thought about shaving his mustache, his numbers prevented him from doing so. Don't mess with the power of the 'stache. If he had that thing from the beginning, he'd be in the Hall of Fame by now. 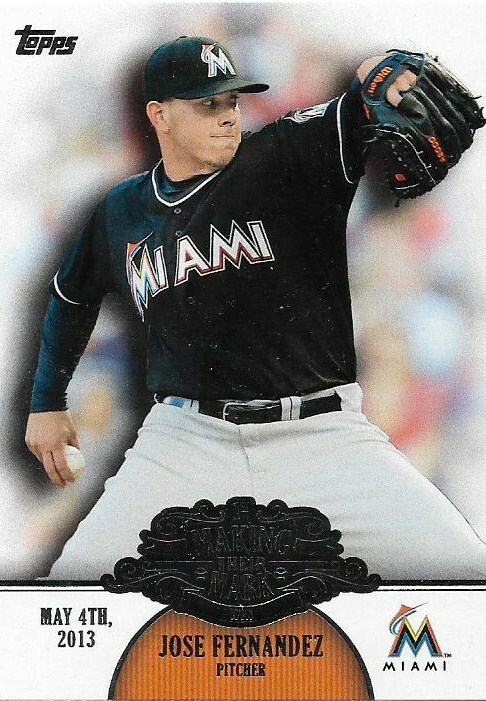 I don't like missing card shows, because there are so few of them and they're shrinking by the year. So even though I was lucky enough to go to an unexpected show a couple of weeks ago, it's still eating me up that there is another show next month staring me in the face that I am going to miss. It is very much like me to focus on what I can't have instead of what I do have. Getting myself converted to a more positive way of thinking is a constant battle. So this is my attempt to focus on the PRO column in my hobby life, rather than the CON column. I may have just a couple of card shows to attend each year, but I also have many other card shows available to me from around the country. That's the benefit of writing a semi-well-read blog. People read about what you like, go to their show in Dreamland, Arizona, or wherever, and -- wham! -- you have card show cards in your possession. I like to call these people who go to a card show in distant lands "card show proxies." I don't necessarily commission them to get cards for me, but still the cards arrive from them. You want to talk about a hobby positive? That's one right there. In Texas, apparently, there was a card show recently. 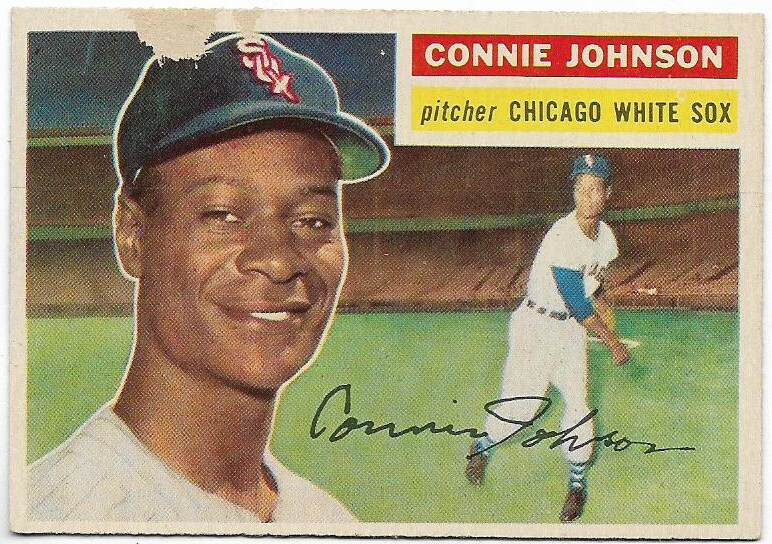 Commishbob went to it and, no doubt, brought home a pile of vintage. 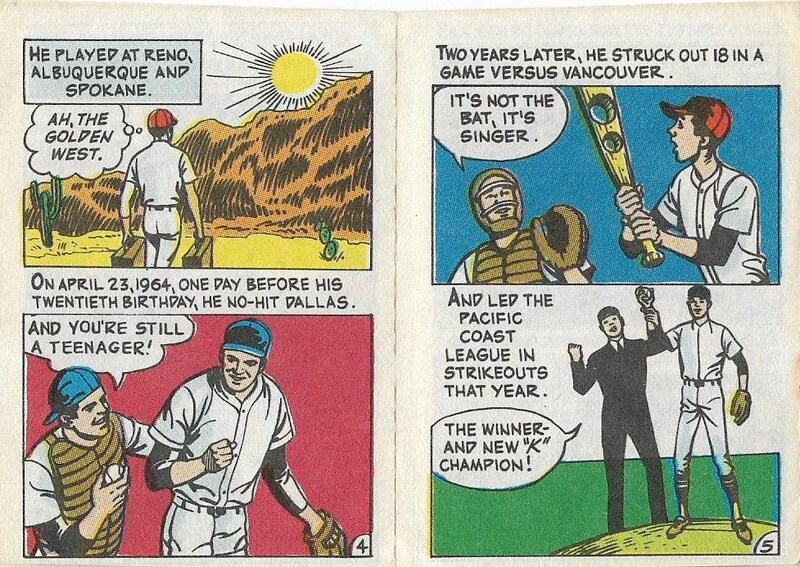 He also sent some to me, as my latest card show proxy. Not many people seemed to care about my '77-84 TCMA post about Larry "Nap" Lajoie, but keep sending cards from this set to me. I love them. 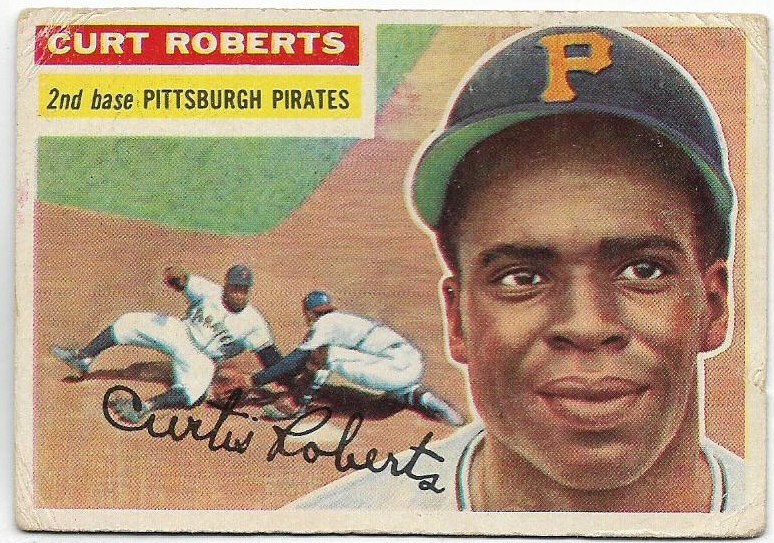 I own the Hodges card already, but this will simply go in the set-build quest. One day you will see a want list, and then expect me to bore the heck out of you with these for repeated posts. 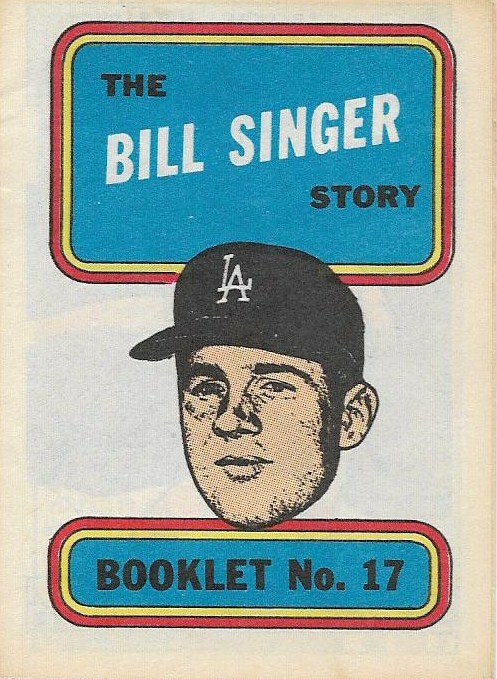 This 1970 Bill Singer Story Booklet represents an upgrade over the one I already own. Here is the other one. It's sad that Connie's story booklet is being replaced, so maybe I can read the story in her honor. 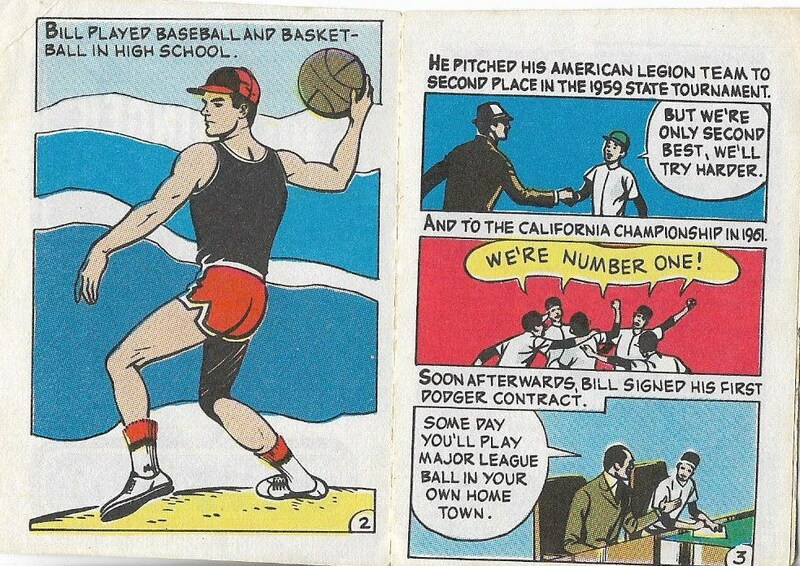 Once upon a time, this dude played baseball and basketball at the same time. 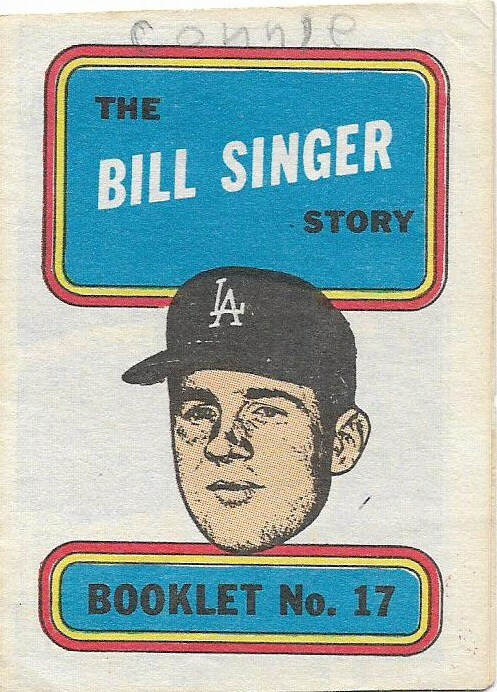 Yup, Bill Singer invented Baseketball and is very bitter about not receiving credit. He doesn't like finishing second. It's been years since pitchers were able to drill holes into bats with fastballs. That's how watered down today's game is. Or how shoddy the bats were then. Here, the Bill Singer story tells you how the win is meaningless, even though three of the four panels are about the win. 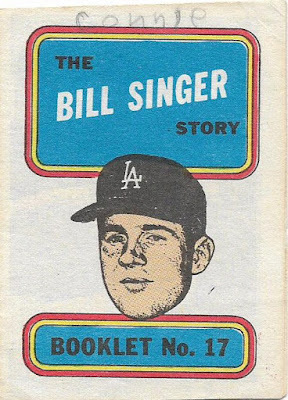 And that's the Bill Singer story, Connie. You can have your storybook back. I have an extra. Moving on to another set in touch with its comic side. 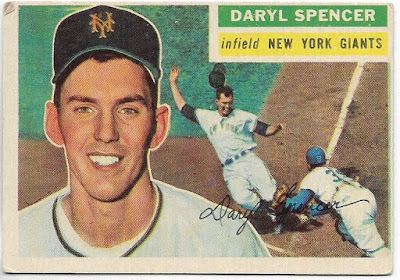 The Commish found a bunch of '56 cards in the 50 cents stack. He said some of these might be just fillers for the time being, but I'll be the judge of that. Yeah, I guess there's a couple I may replace someday, but right now I'm just too giddy about all of those '56s in one spot. Plus one card from the previous year, and a Dodger card I needed! 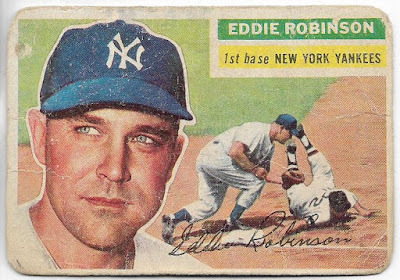 The final card I'm showing is something I'd never be able to get at a card show, because I don't know the dealers all that well. Nomo signed, Bob said, for a dealer friend of his. Weeeee! 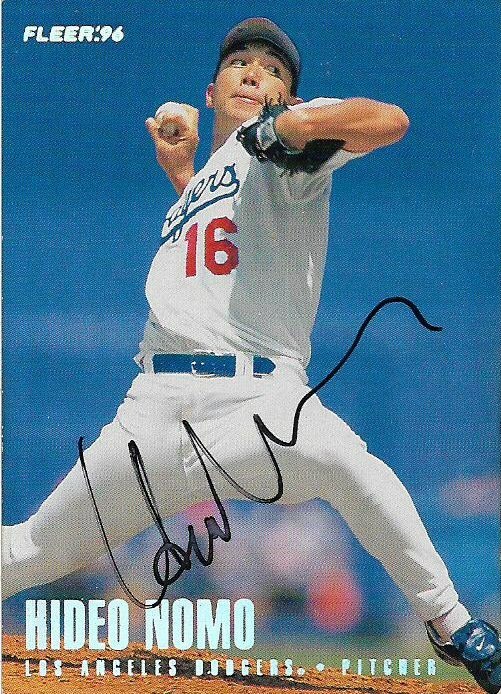 This card allows me to boast of a Hideo Nomo trifecta -- a rookie card, relic card and autograph card. Part of me would like to know more about the circumstances of this autograph: where was the dealer when Nomo signed, etc. But ... no, I am committed to the positive here: There is no way I would find a Nomo autographed card if I went to a card show. And that's why I have card show proxies. When you can't be there yourself, they get the job done. Showing all I have (of him) because he showed all he had (to us).